When you join the Starbucks Rewards program, you sign up for a lot of cool benefits. You start at the green level, where you earn 2 stars for every $1 spent. Once you earn 300 stars, you’re upgraded to gold level, where the real benefits begin (like a free drink every 125 stars!). No matter which level you’re on, you get a free drink of any size or a free food item for your birthday. You must become a member of Starbucks Rewards 30 days prior to your birthday to get this freebie. The reward shows up in the rewards app two days before your birthday, and expires the day after. There aren’t many better ways to start your birthday than with a free coffee! If you’re not a big fan of Starbucks, you can get many of the same benefits from Dunkin’ Donuts rewards program, DD Perks. It’s free to sign up, and you get a free beverage just for becoming a part of the program! Then, on your birthday, you also get a free Dunkin’ Donuts beverage of your choice. With DD Perks, you’ll keep your complimentary birthday drink reward for 90 days, or until it’s used. Noodles & Company has something for everyone, and if you’ve been a member of their E-Club Rewards Program for more than 60 days, you’ll get a free birthday treat in your email! In past years, this birthday freebie has been a free entrée of your choice from Noodles & Company. Enjoy lunch on the house on or around your special day. Your treat will appear 7 days before your birthday and expires 14 days after. To get a free Chili’s appetizer or dessert on your birthday, sign up for the My Chili’s Rewards Program. Your free coupon will show up before your birthday, and all you have to do is visit a Chili’s in person to redeem your extra birthday points. These points are only good during your birthday week, so don’t wait! Signing up for IHOP’s Pancake Revolution has many benefits, one of which is a free meal every year on your birthday. When you sign up for the loyalty program, you agree to receive emails from IHOP, but you also get a free meal for signing up and a free meal on your one-year anniversary. You must redeem your free birthday meal at an IHOP location, dine-in only. The coupon is for their famous Rooty Tooty Fresh N’ Fruity pancakes or an item of equal or lesser value. To redeem your birthday freebie, make sure you print your coupon and bring a valid photo ID with you! A free Krispy Kreme donut can make any birthday special! When you sign up for the Krispy Kreme rewards program, you get a free donut off the bat and a free donut on your birthday. They sweeten the deal, and you get a free drink on top of your free birthday donut! Your birthday coupon is good for two weeks after your birthday. Need a birthday snack or mid-afternoon birthday pick-up. A free birthday frozen yogurt will do the trick! When you sign up for Pinkberry’s free Pinkcard Loyalty Program and download the free app, you’ll be rewarded on your birthday with a coupon for a free small frozen yogurt with toppings. Do you love makeup, skincare, and hair care products? Then don’t miss out on all of the birthday benefits of being a member of Ultamate Rewards, ULTA Beauty’s loyalty program. When you shop at ULTA on your birthday, you’ll get a free birthday gift. The gift changes every year, but never disappoints. As an added perk, anytime during your birthday month that you shop at ULTA, online or in-store, you’ll receive double points on all purchases. Beauty store Sephora also offers a free gift during your birthday month if you’re a part of their Beauty Insider program. Simply sign up for the program and to receive Sephora’s promotional emails, then shop anytime during your birthday month to pick up your free gift. When you join the Smashbox Pretty Points Rewards program, you’ll receive an email during your birthday month inviting you to redeem your free gift. The gift changes periodically, and your email will let you know what your free birthday gift is. For this reward, simply signing up for the loyalty program isn’t enough. You can get your free gift, which is often a valuable makeup set, with a $35 purchase. If you need to stock up on your Smashbox makeup, it’s a good idea to hold out until your birthday month! Joining World Market Explorer rewards has many benefits, including a sign-up reward, member-exclusive discounts and coupons, shopper rewards for spending money, and of course, a free birthday reward. The reward changes occasionally, but in the past it’s been $10 off your purchase on your birthday. There’s also a World Market Explorer app that houses all of your information and discounts, so you never have to print anything or worry about leaving it at home. If you’ve had your eye on that special item from World Market, treat yourself on your birthday. Are you a movie buff? Redbox has a treat for you. When you sign up for the Redbox Play Pass, Redbox begins tracking your points, offering you discounts and freebies throughout the year, and sends you a code for a free birthday one-night movie rental. This program also makes a great gift for any cinema-phile in your life. Aveda’s Pure Privilege loyalty program lets you earn points toward luxury rewards like spa getaways. The program also has some great birthday benefits. On your birthday, get a free birthday gift that’s valued at $23 and a voucher that allows you to get double points on your next purchase. To get started, enroll in the free Pure Privilege program! If you’re headed to the mall to do some birthday shopping, make sure you sign up for AERewards. You can earn points for this reward program at American Eagle, American Eagle Outfitters, and Aerie, which makes it much easier to build up your balance. Once you’re a member of this program, you’ll get an email with your birthday coupon, which allows you to take 15% off all purchases the entire month of your birthday. Put a spring in your step with a new pair of shoes on your birthday. When you become a Famous Footwear Gold Rewards Member, you get a special birthday treat of $10 off your purchase. All Famous Footwear members start with Standard Rewards, but you can upgrade simply by spending $200 in 12 months. 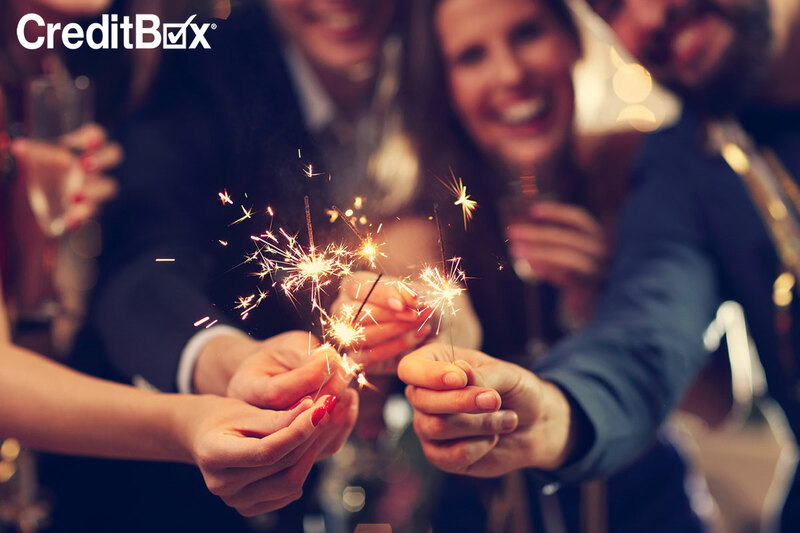 If you need extra cash to make your birthday celebration extra special, turn to CreditBox. We can get you the money you need, fast so you can indulge on your special day. Apply online now to see if you qualify.